Gans’ Holographic Perforated Window Vinyl stands out above the rest! Its universally-preferred 60/40 print-surface-to-holes ratio is ideal for storefronts, office buildings, high end hotels and restaurants, as well as vehicles. Its prismatic surface is certain to be eye-catching both in the printed space and the negative space as well. Color shifting imagery catches a viewer’s eye and this product is best utilized where sunlight can work to enhance the prismatic and holographic effects of the surface! 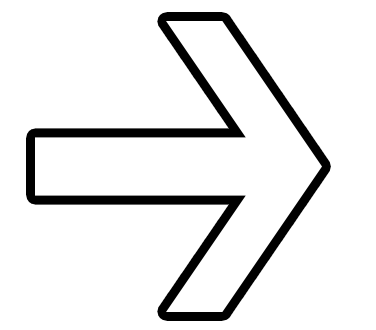 The holographic, or more accurately, prismatic surface is 100% unique to Gans Digital. Over the years Gans has brought new products to market and the Holographic Window Perf (Perforated Self-Adhesive Vinyl) is the next in a long line of revolutionary products. From the glitz and glam of Las Vegas’ hotels, shopping corridors and restaurants to the calm and simplistic classiness of Everywhere, America’s jewelry store, Gans’ Holographic Window Perf can find a home in any environment, catching eyes and turning heads. Thanks to our exclusive dual liner, Gans Digital’s Holographic Window Perf is printable using UV, Solvent / Eco-Solvent and Latex ink technology. The dual-lined 60/40 material comes in 50” x 150’ rolls and can ship anywhere in the world! At an incredibly affordable cost, this material is sure to be a hit! NEW 60” HOLOGRAPHIC Window Perf! 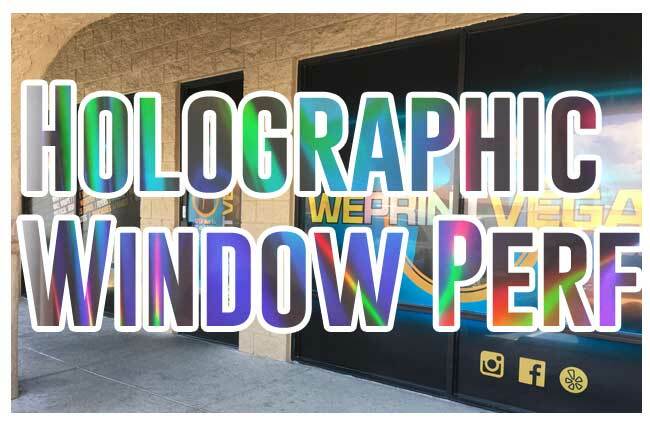 Our customers have come to really love our one-of-a-kind Holographic Window Perf! If there was one negative thing about it, it was that it was only available in 50” rolls. Well, we listened, and we are now offering 60” (x 164’) rolls of DUAL-LINER Holographic Window Perf. Now you can apply it to full-width storefront windows without paneling. But that’s not all … it is now 100% UV Printer compatible! Of course, it works great with Latex and Solvent / Eco-Solvent printers as well. Prismatic, Holographic, Color shifting and Futuristic, let Gans Digital help you breathe new life into your perforated vinyl prints! Make sure to contact your Gans’ representative for more information on this exciting new holographic product. You can also reach us at sales@gansdigital.com or at 1-800-421-6167 to request a sample roll. Purchase a roll or two today!